I'm looking for the 3 point adjustable "Top Loader" fixed bridge that were originally on Squier Vintage Modified Jaguar HH and Jazzmaster HH guitars ( see pic) . I know a lot of people didn't care for them and replaced them with other bridges. If anyone has one or more around ( with or with out the 2 height adjustment screws and back anchor screw) Please message me and we'll work out a fair price. Looks like a Danelectro bridge might work if you can't find an original. I have a couple danos if you need measurements of the 3 mounting screws. Hi Cooter, appreciate the offer, might take you up later, but I would like to try to find a Squier bridge, i did one time out of the blue on Reverb. I'll keep an eye out too. 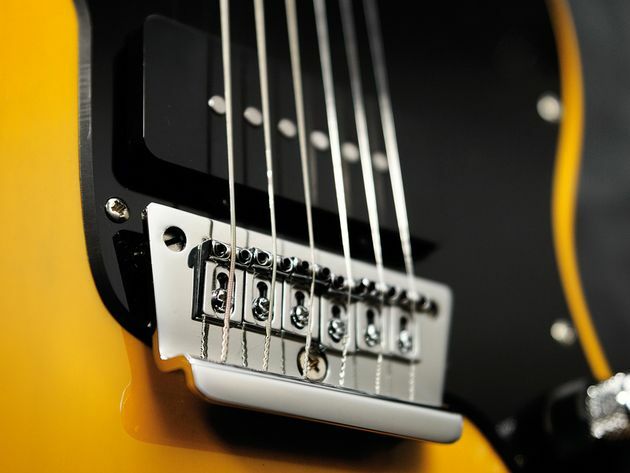 Ive considered that , but I'd like to locate and actual Squier jag/ JazzMaster bridge if i could, or 2 of them. thanks for bringing that up though , its appreciated, anyone else have an old bridge just laying around?